Well the time has come once again to make a list of resolutions for the new year. Some people prefer to call it their list of goals and even others just say it is their big To Do List. Whatever you decide to call your plans for the new year, the important thing is to have them visible so you can have a constant reminder of what you are working towards. Total budget: It is my goal to remain under the total budget every month because I am now on a VERY limited budget as a full time student. I have been doing pretty good with this goal which I carried over from previous years. I have been going to church at least twice a month now and I pray every morning. I need to focus on thanking God for what I am given because most of my prayers have just been asking for things. I really need to work on this area because while I have been able to stay under the total budget I tend to go over the food and a few other categories. Most of the time that I go over my food budget it is from buying lunch on campus because I am so busy during the day and so tired at night. I need to make more lunches to bring to work so that I can stay under my budget. This area involves a few things like eating better, exercising more and making sure I get my checkups. I recently started walking and I am doing 2 miles every other day. I walk slowly due to my past medical history but hey doing something is better than nothing. I want to work my way up to being able to run a little bit because I am tired of seeing the other people in the gym running next to me on the treadmills. I have incorporated more fruits and vegetables into my diet once again and I will be buying more canned fruits like grapefruits because I do find that my fruits tend to go bad in a few days and I do not want to wast money on food that spoils. I need to work on building some new networks because I am in a totally different world from the one I was living in during the last few years. I am now in the world of PhD students and I am also in a totally different field so it is really an expansion of my social circle. I am also working on getting a personal relationship in order because I am looking for someone to share the rest of my life with…since I am not getting any younger!!! I would also like to expand my reader base on the blog and I hope that I can come up with some fresh ideas to keep you readers entertained as well as get some new followers. 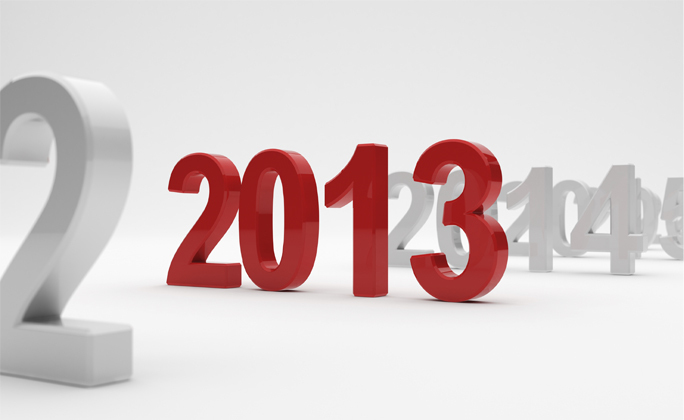 I wish you all a bright and prosperous 2013 and I hope you continue to support me on the blog. I still don’t have my to do list this year. Thanks for this article, I got an idea now.